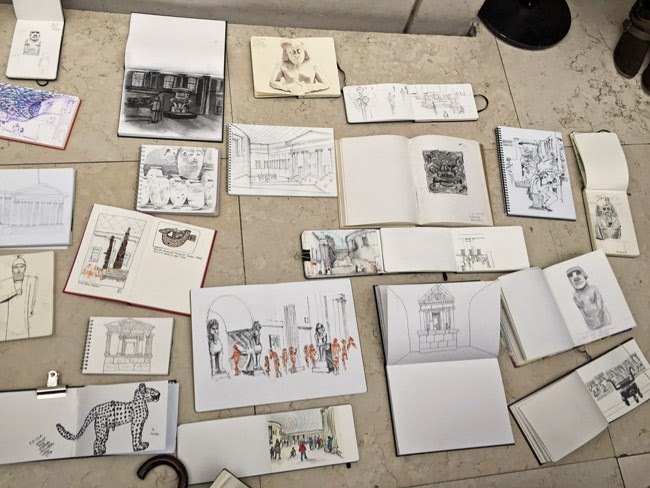 A few photos from the London Urban Sketchers' Let's Draw the British Museum Sketchcrawl yesterday (7th February 2015) - organised by Isobel Carmona, assisted by James Hobbs and Katherine Tyrrell. We had a lot of new people join the sketchcrawl and lots of excellent sketching. The British Museum also makes for an excellent venue on a cold and damp day - it was buzzing! 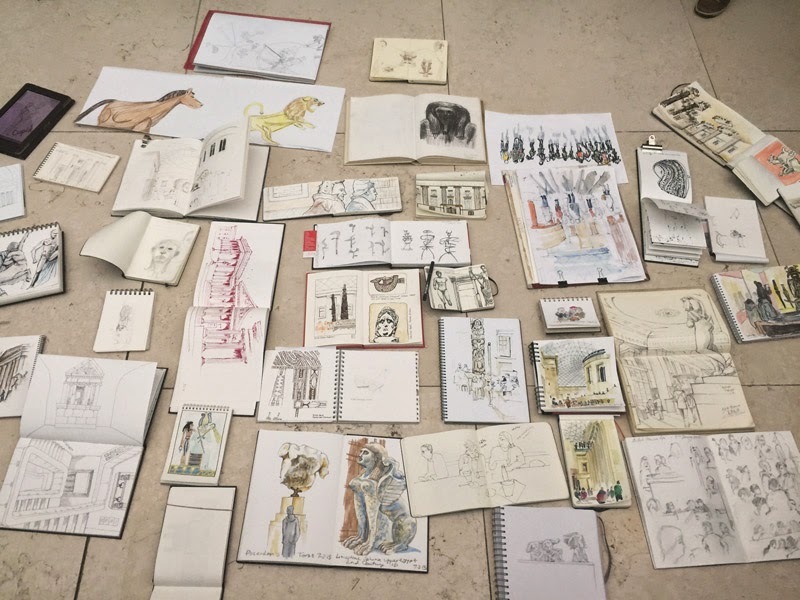 Below you can see some of the sketches from the sketchbook reviews at lunchtime and the end of the afternoon.